If you are like me, sometimes you get an itch to load up the car and head out of town for the day. Sometimes it’s fun to drive with no particular destinations and perfectly charted itinerary. And if there is one local day trip that is perfect for going with the flow, it’s to guide that car of yours east to the Mississippi River. 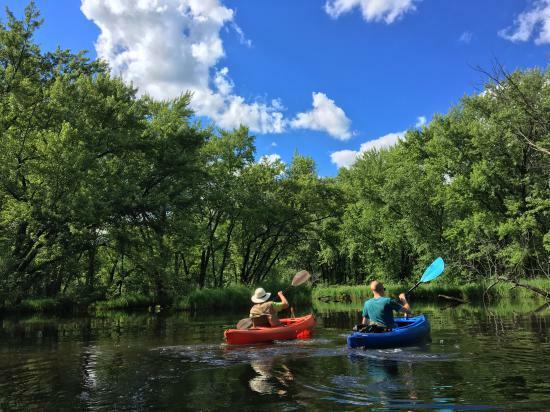 A day trip involving adventures on the Mighty Mississippi and quaint river town strolls and, bonus, it offers similar features we love about our Eau Claire. Oh, and the drive there will make you fall in love with Wisconsin, again. Let me help you start your adventure with the itinerary below. But as you wind along the Great River Road, make your own path to what suits your fancy and enjoy the ride. Load car with snacks, beverages, sunscreen, kayaks, and some people you like. The journey isn’t long to the first stop. In just over an hour, arrive in Stockholm, population 82. Founded by Swedish immigrants in 1856, Stockholm is a perfect first stop on your Great River Road journey. Small Midwest town vibes are strong here and for the most part, it seems to shut down at dinner time. 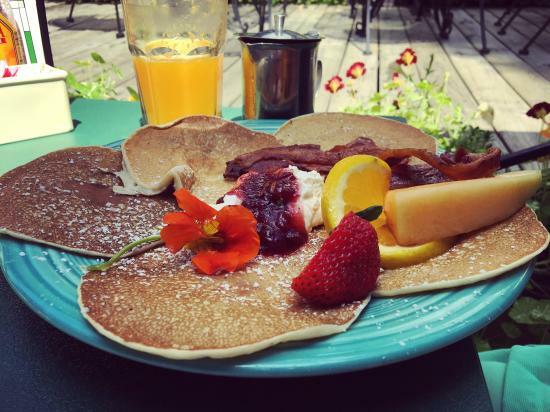 Stop at Bogus Creek Café for a delicious breakfast nestled on their outdoor patio among beautiful flowers and trickling fountains. Try the Swedish pancakes with lingonberries for the full cultural experience. This paired with the hand-squeezed orange juice is so tasty. Next stop in the small museum for some neat Stockholm related artifacts. Check out the fun shops. And before you leave town, don’t forget a slice of pie at the Stockholm Pie & General Store. It’s pretty legit. I mean USA Today named it one of the 18 legendary pie shops in America, so that should say something. You may be familiar with the name Laura Ingalls Wilder – the author famed for the Little House on the Prairie series. Laura was born in Pepin, so this is a fun stop for those who want to check out her birthplace and learn more about her life at the Laura Ingalls Wilder Museum. 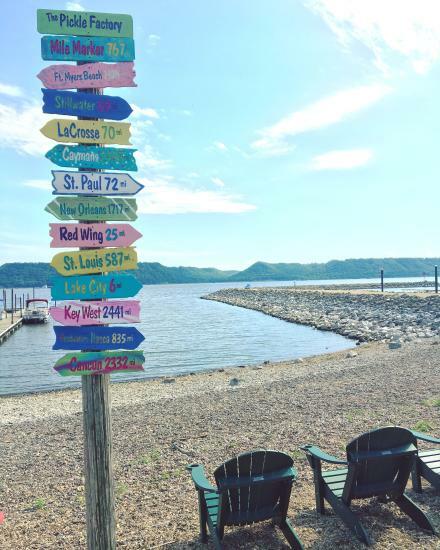 In addition, Pepin hosts a marina for you to catch a beautiful view of Lake Pepin. Perhaps you want to do more than viewing Lake Pepin from shore. There’s an option for that, Sail Lake Pepin offers sailboat cruises. How fun! 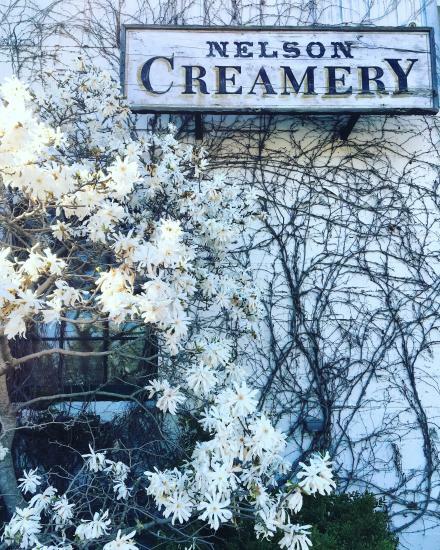 A drive to Nelson is not complete without a stop at the Nelson Creamery. After all, we do have its sister shop in Eau Claire! Grab a sandwich, or pizza and, of course, ice cream! Get all fueled up, and then continue down the road to the Nelson-Trevino Bottoms State Natural Area. Here you will spot pull offs to get those kayaks out in the Mississippi River backwaters! It’s in this area that our beloved Chippewa River water meets with the Mississippi, so this seems appropriate to check out. The kayaking is beautiful here, whether in the denser wooded areas or out in the open channel areas with majestic bluff backdrops. Make sure you wear your life jacket if you plan to drop that amazing thing called a kayak! By the time you have reached Alma, the day is likely winding down. In my book, the best way to close out a day is with a beautiful sunset. And Alma has the perfect spot to do so. 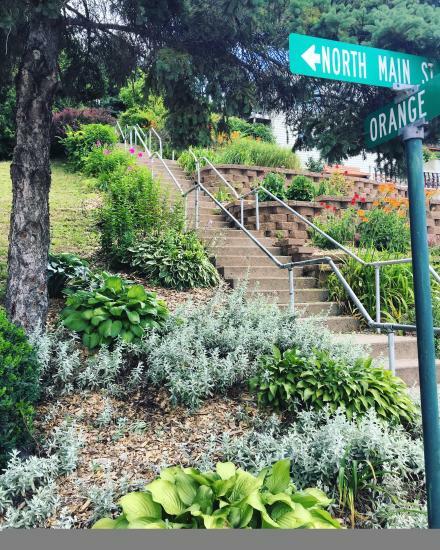 Drive up above this cute little town to Buena Vista Park. A short path will lead you to one of the best views close to home. Buena Vista overlooks Alma and the Mississippi, and it offers some of the best sunsets I have witnessed. You might be here a while just in awe, but once you’re ready to go, stop for a late night dinner on the patio at The Empire Room. Unfortunately, there are only so many hours to enjoy this wonderful day trip. And chances are you won’t be able to fit in all of the amazingness of this Great River Road trek in one go. But that is the beauty of day trips my friends. Your journey ends back in your own comfy bed, and you have an excuse to go back for more fun filled adventures soon! This journey is a beautiful treasure for us so close to home. It brings me a lot of joy combining my favorite things of natural beauty and unique small town stops. Load up your car at your next open opportunity! I hope it brings you just as much joy too.